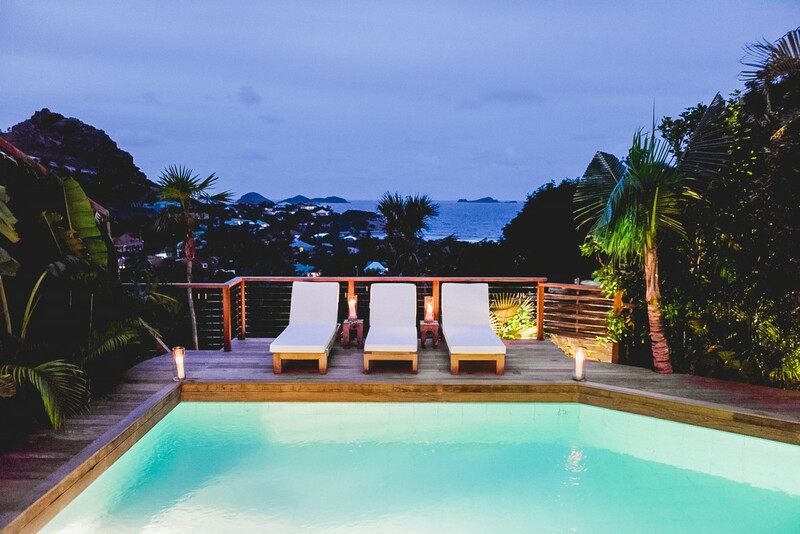 Villa Les Palmiers St Barts. 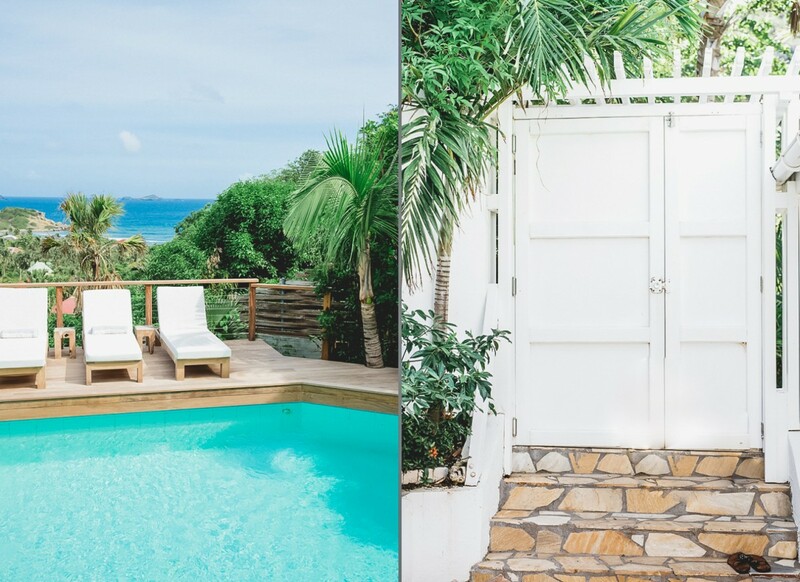 Savor the beach house atmosphere while staying in the lush landscape of Anse de Cayes on St. Barts when you visit Villa Les Palmiers. Low in the hills, it presents you with a view straight out to the bay, and frames it all with mature palms and lush landscaping that says "island paradise" at all times. 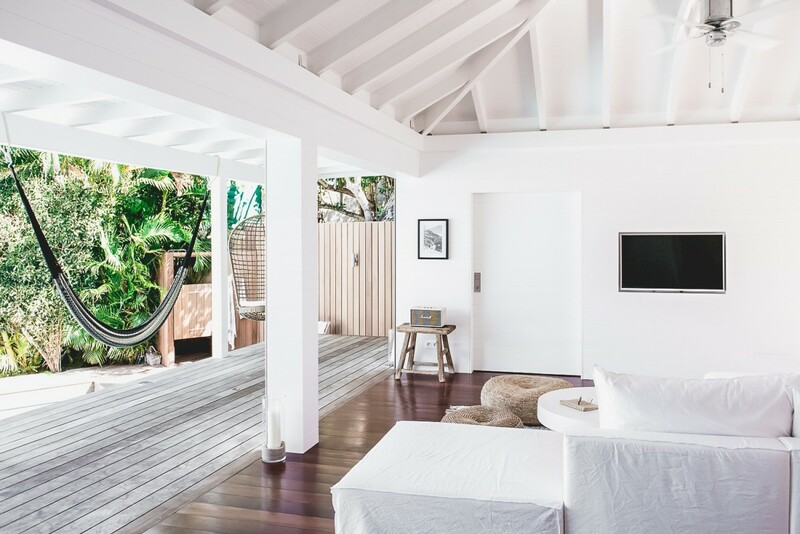 Whether you enjoy it from your private pool or your beautifully styled interiors, it is sure to delight. 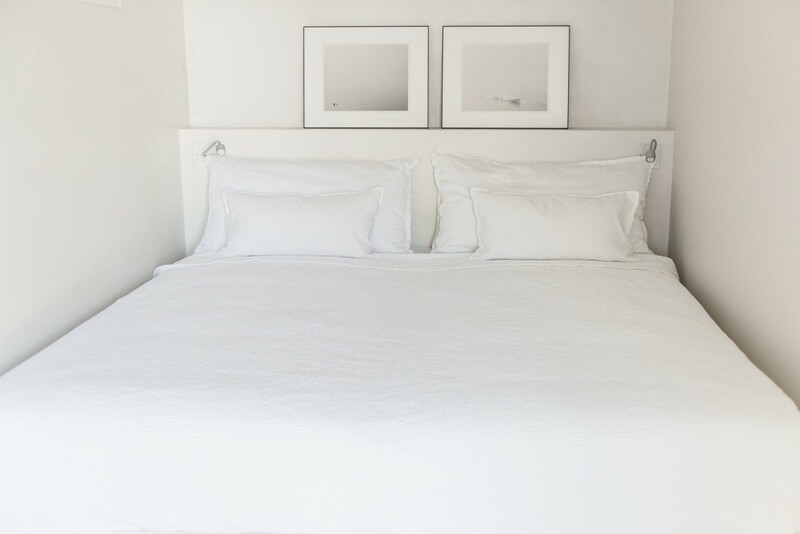 A distinctly natural and organic tone prevails, and you will notice this the moment you arrive. 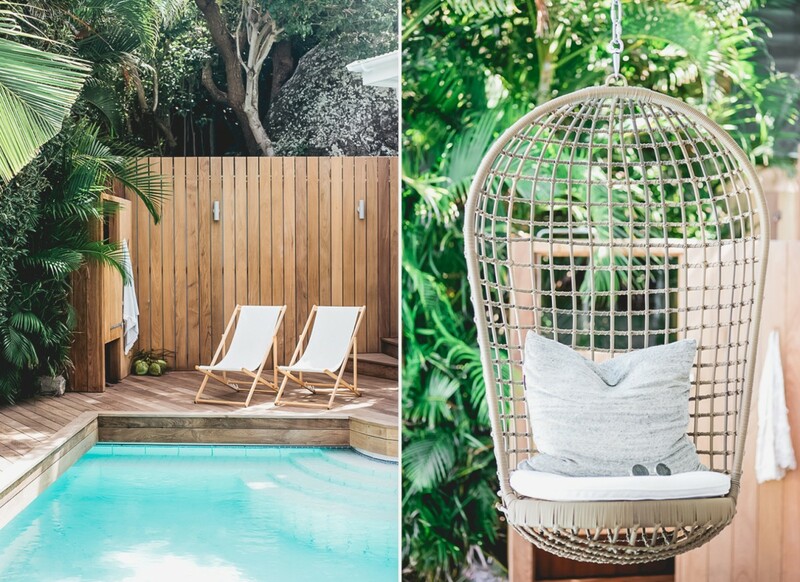 The plunge pool is surrounded by a silky wooden deck that features several areas for lounging in the shade or sun. 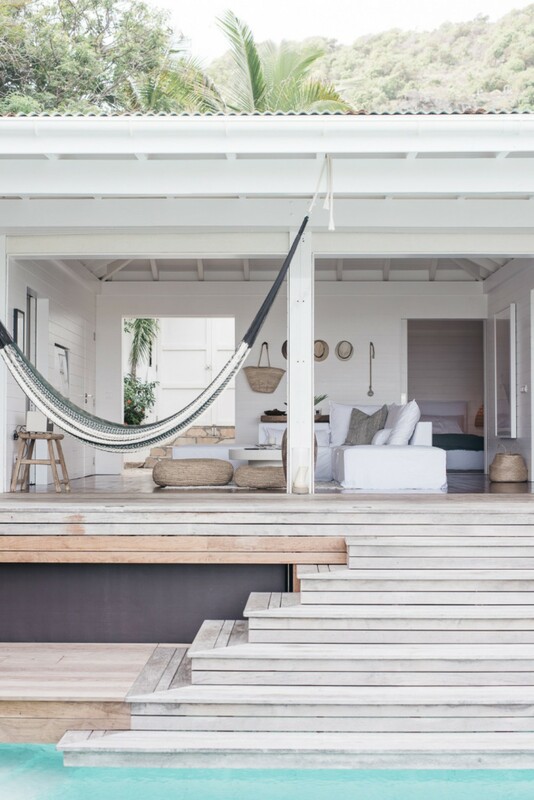 Just a few steps lead to the expansive porch, furnished with a hammock and basket chairs, it will easily become a favorite spot to lounge away a sunny afternoon or starry night. 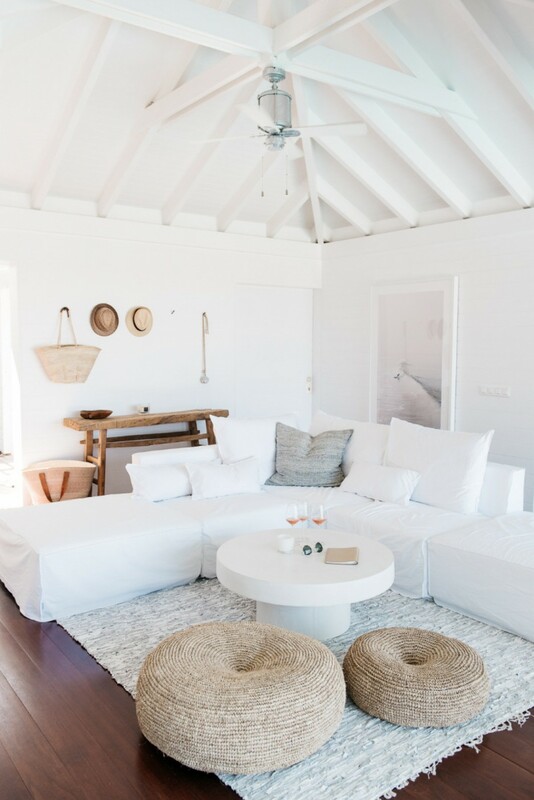 Just inside, the airy great room captures the light with its pale palette and abundance of organic materials. 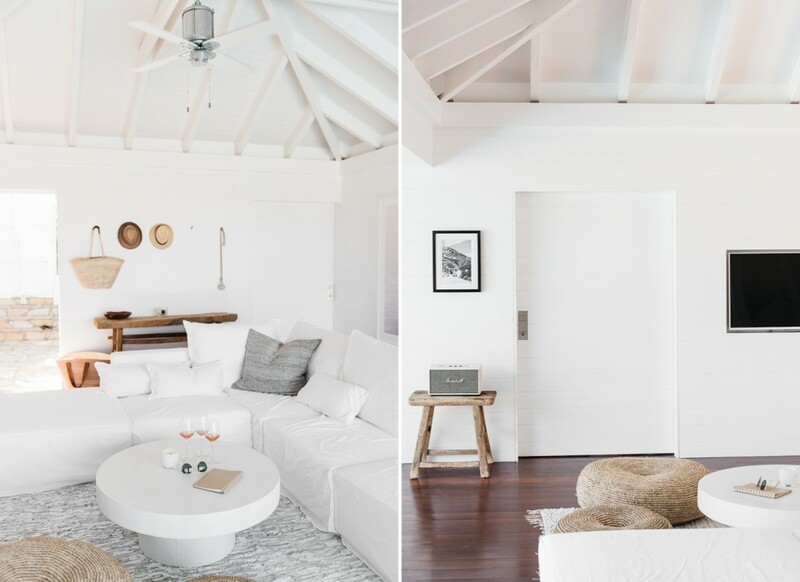 Sea grass cushions, oversized sofas upholstered in snowy white, and high ceilings that allow the breezes to linger ensure this indoor space feels distinctly outdoors too. 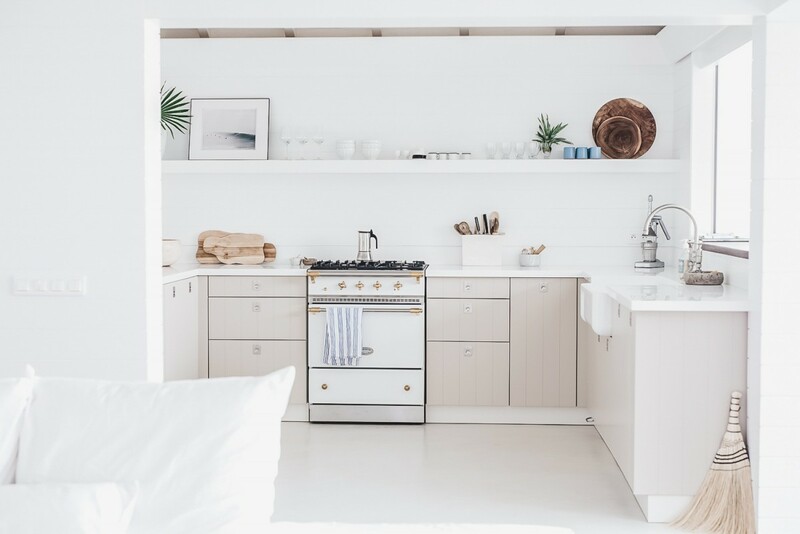 The gourmet kitchen is just off the great room, and it too features the pale and soothing palette of the rest of the property. 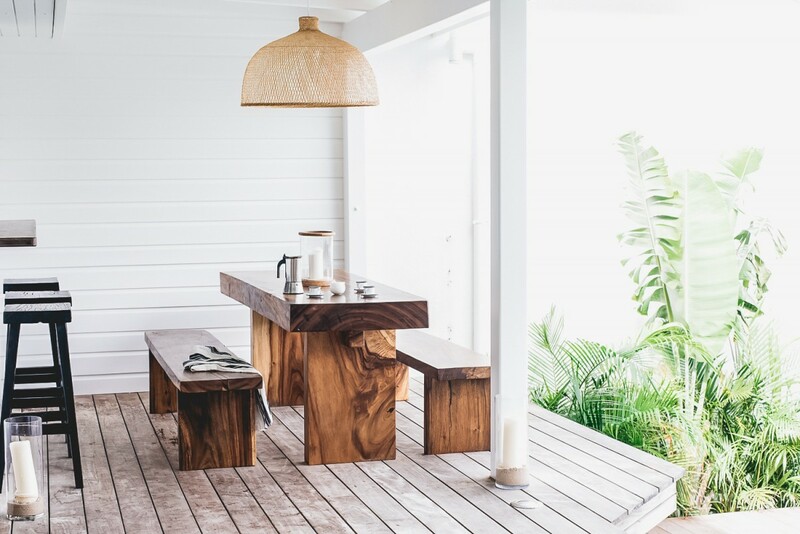 Opening to the porch and the charming al fresco dining area, it features the very finest appliances and gear, chosen to satisfy even the most discerning cooks. 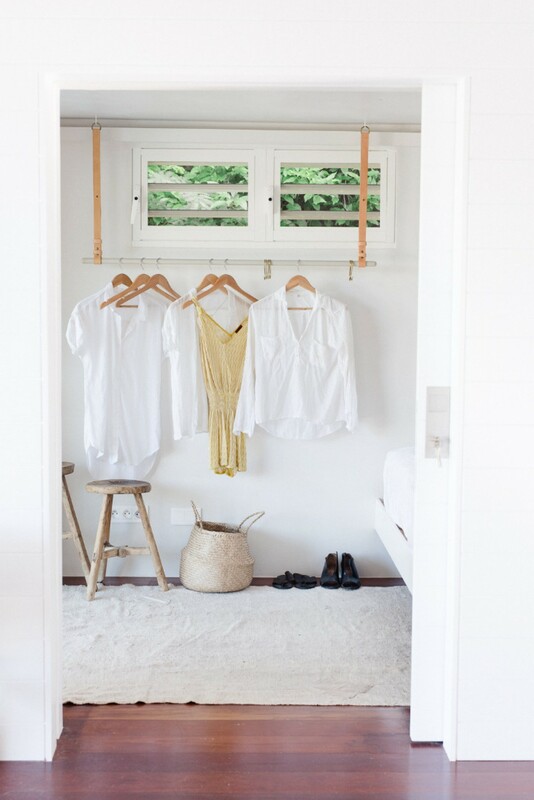 The two bedrooms are private sanctuaries, designed and located to ensure privacy and scenery. 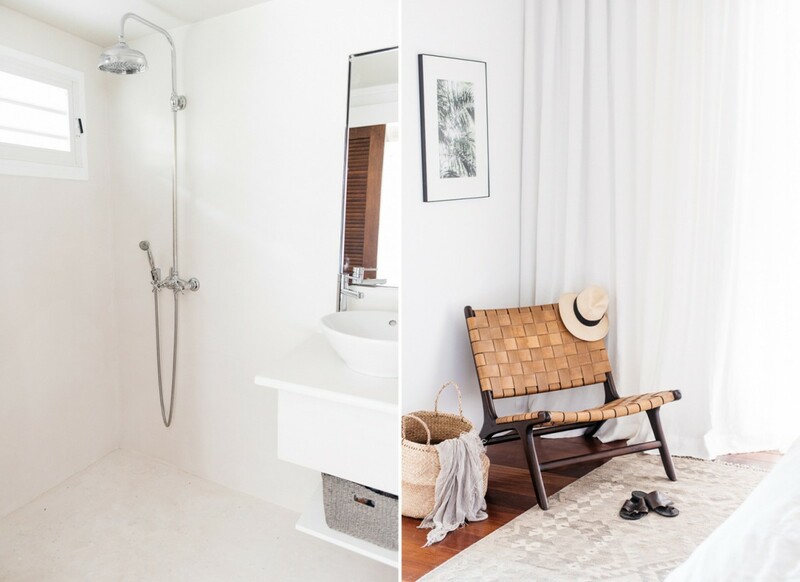 They are both king suites with ample closet space and large, private baths. 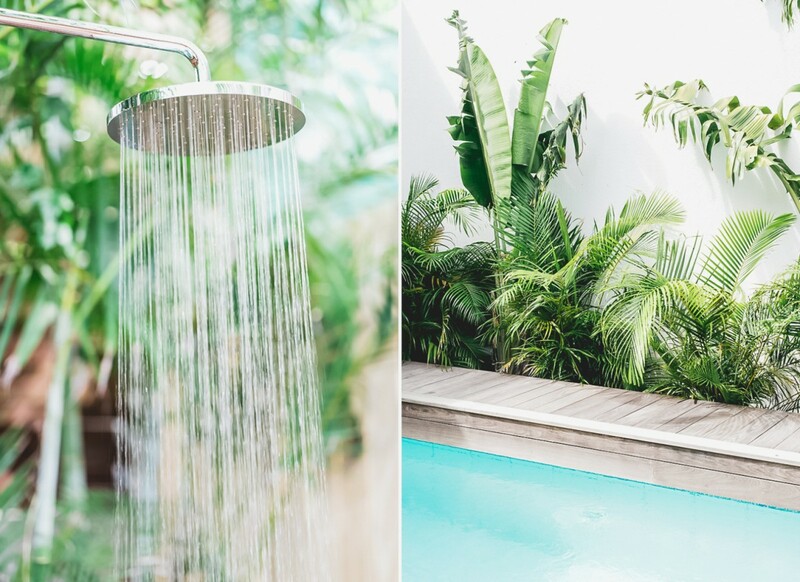 One also features an outdoor shower in addition to the indoor amenities. 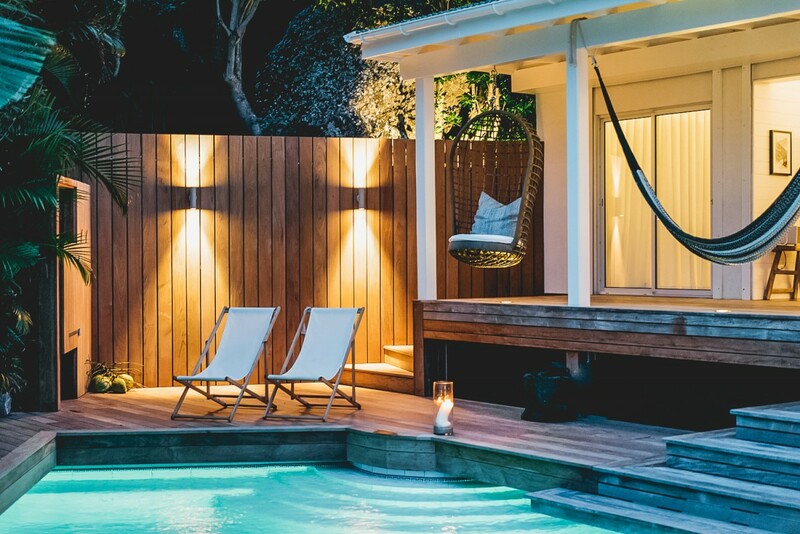 Whether seeking the ultimate romantic retreat for two, a getaway for yourself, or a spot for a luxury holiday with family or friends, the Villa Les Palmiers is a gem. Bedroom 1: Bedroom with a king-size bed, A/C, ceiling fan, safe, phone, walk-in closet and en-suite bathroom with shower, double vanity and WC. 2 guests maximum. Bedroom 2: Bedroom with a king-size bed, A/C, ceiling fan, safe, phone, walk-in closet and en-suite bathroom with indoor and outdoor showers, vanity and WC. 2 guests maximum. We had a fabulous time at the villa. 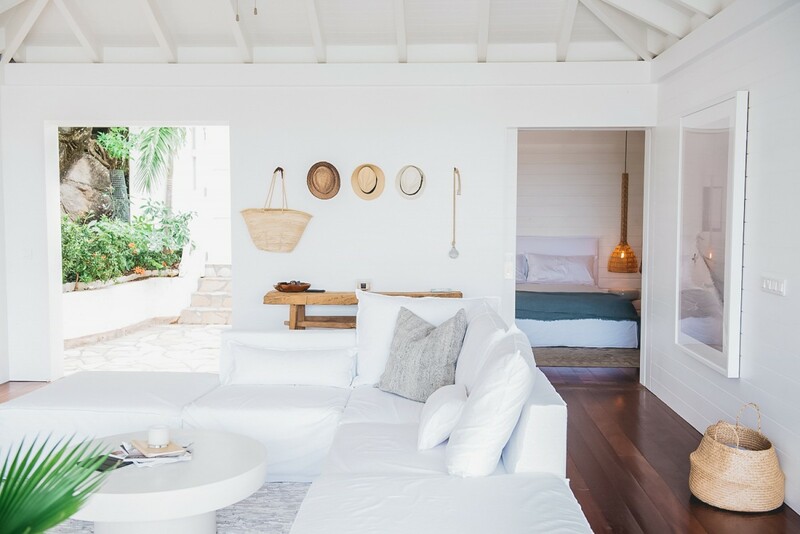 Our stay began every morning with an amazing view of the sea from the hillside, punctuated with little trips to nearby beaches and shops, and capped off with dinners either out at restaurants in Gustavia or making a simple meal at the well-equipped kitchen at the villa. We did not want to leave. 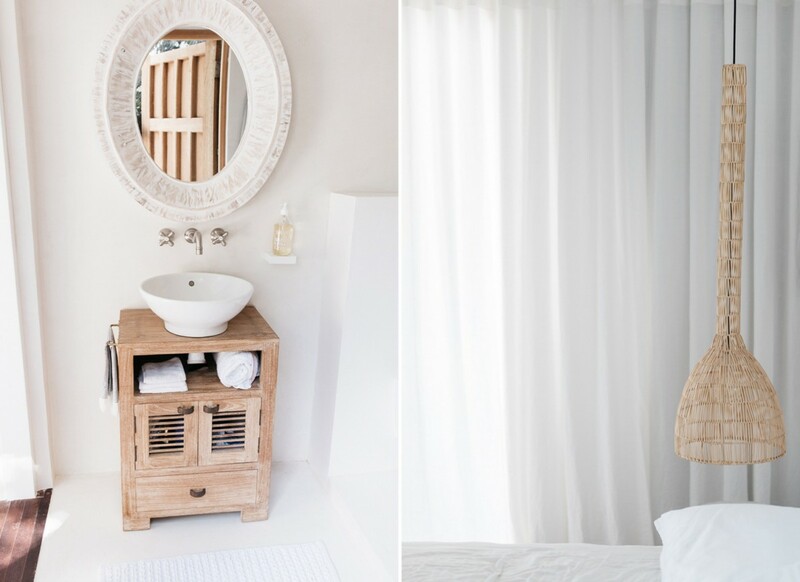 The villa is beautifully designed with carefully chosen and thoughtful aesthetics. It provided the much needed rest and relaxation that we were looking for. Can't wait for a returned trip in the near future! Attractive house with good view of the sea. Contemporary decoration and a decent size pool considering size of house. Love the outside shower! Hammock and swing seat a nice touch. Truly an amazing place. No other place on the island I would rather stay. The house was absolutely lovely. 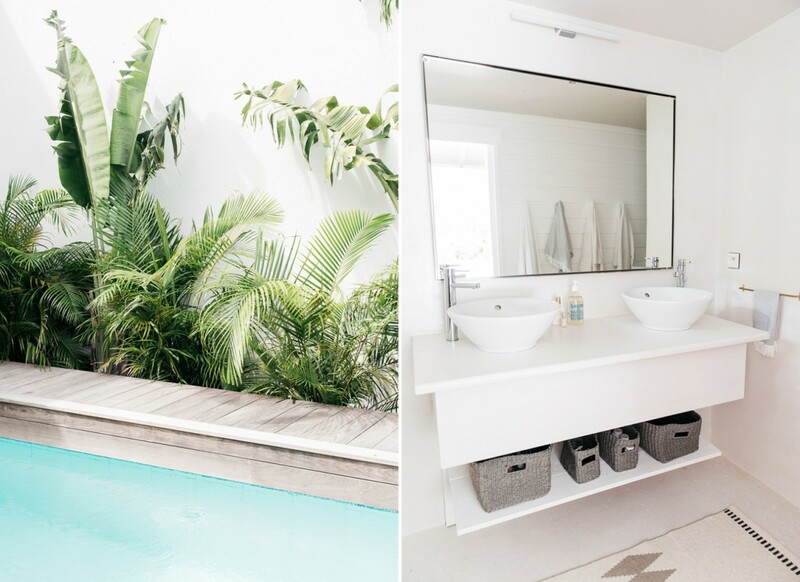 The tranquil and clean design, the layout, the beautiful view of the ocean and super convenient location couldn't have been better. We loved it! !